Why should we be calmer about babies crying? There are some people who have no problem or get upset by hearing a baby cry. They can simply ignore a baby that is in distress. They are able not to pick the baby up, they believe to do so would be ‘spoiling him’. They have no issue with the suggestion, and they will think nothing of leaving a baby to cry alone in a dark room for hours. I am led to believe these people exist from first-hand experience in messages, emails and speaking with people who comment when they hear what it is I do as a profession. I know this more commonly used then we would like to believe when we read articles on this type of sleep training all time. But seriously, who are they? In my 23 1/2 years as a mother and 5 years as a sleep consultant, I’ve never encountered a parent like this face to face. As a parent myself, friends with children and caregivers I have known over the years we all seem to feel very differently about crying. In fact, I would say we are a whole 180 degrees different. I have found all of us to be jolted into action by the slightest expression by our baby’s that they feel or have even the tiniest of discomfort or dismay. In my opinion, it is our instinct to do almost anything that is in our power to help prevent and stop a baby from crying. To the point that when our baby’s cries cannot be easily abated, we find ourselves in the uncomfortable place of feeling unnerved, generally frustrated, and deep feeling that we are a complete failure. When the slight sound from the baby occurs, the feeling of pressure is enormous. It is like we are crying internally praying that the next action will soothe them again to make the crying stop so we can breathe easy once again. The way in which these parents try to avoid this is by perhaps trying to shush, jiggle, rock them, try them with a pacifier, we place them in an electric swing, put the washing machines on a place them near it, in some situations even driven them around the neighbourhood. Some mums have tried nursing their baby for hours and hours on end. Usually they are afraid that if they were to take the baby off the breast they wake up and cry so would even prefer to go with less sleep themselves. Some mums attempt to have baby latched on all night while they try to sleep. The common and powerful message which is seen in all these suggestions is that we view our own discomfort to be a better option than even bearing one moment of it to our baby’s. So as parent we all do our best to differentiate between the different cries & sounds our baby makes. By responding in what we feel is the most appropriate manner. This is when we all have those moments of doubts and comparisons start looming… Strangely enough, in Africa, babies do not cry at all. So why does it matter so much to us and what is it we are doing differently? Once we have got passed the stage of baby, and have managed to survive infancy stage, the next learning curve comes along, saying no to our toddler! It is no surprise that they have an object to the NO decision, and what happens then, yip you guessed it, they end up in tears, and lots of crying occurs. There it is again that innately wrong feel comes flooding back. What then occurs is we believe we have 2 options. 1 being find the best ways to distract our child or 2, give in by pleasing him instead. The problem with both these scenarios is that this then only causes the child to increasingly more and more unreasonable demands. The interesting part to all of this, as parent we flew from the dreaded “No” however unfortunately this is exactly and desperately needed by our child, is exactly that, our “no” and then for them to cry. We have a struggle with what is an instinct, which is then heightened by our very culture, which tells us that our children must not cry, and it’s must stop now, and it is up to us as the parents to ensure this! All I can say is a HUGE grateful Thank you to those of us out there who have some intelligence, are insightful while still have compassionate voices of reason. Experts in the parenting field such as Magda Gerber, Aletha Solter, and Patty Wipfler who are all experts in this area and can truly help you with your baby’s emotional health, and to be honest and frank your own too. 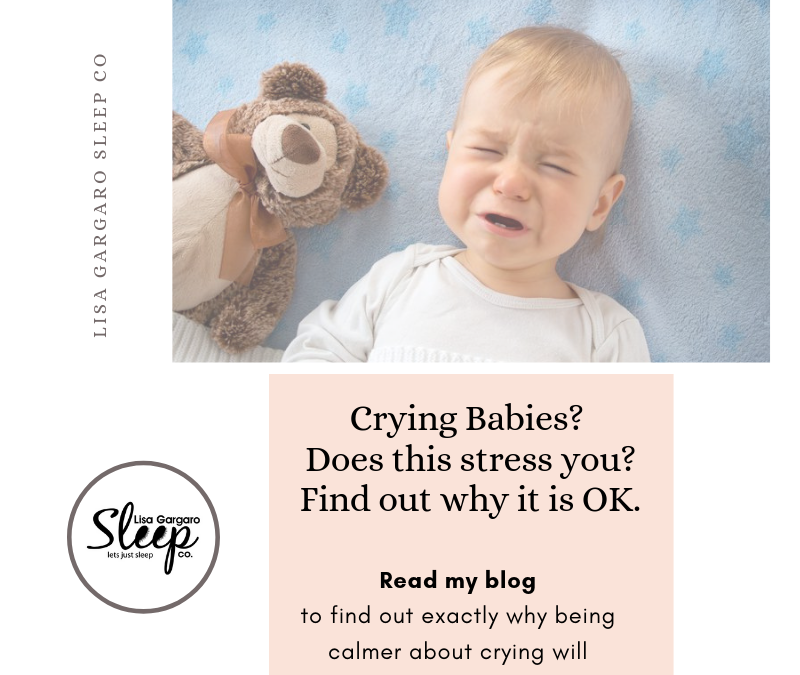 The books and articles they have written will help you to better understand that these cries from your infant are not only okay, but in fact they actually serve a very important necessary purpose. So when a baby cries, it becomes our job to tune in, while providing love, help and support as is required, but not it will not or cannot necessarily stop the crying. In situation where we follow our quick impulsive action to quickly stop them from crying, we are in fact not actually able to take the time to truly listen and understand what our baby’s cues are actually saying. Therefore, it is much less likely that you can truly validate the baby’s communication they are trying to do by crying because you don’t understand what they really need. When parents first start on of my child sleep programs, I make them aware by letting them know crying is allowed here. I can instantly sense the relief from them. What this has proven, more often than not, is that when parents understand this and are not afraid of crying then the occasions of crying during any program is usually a rarity in occasions. When there is lot of crying it is usually being brought on by a parent not being happy with the situation. So, what we need to release is that someone always ends up cry even if it is just a little. We as parent needs to understand that babies cry. It is our job as parents not feel stressed, embarrassed by it, instead take the time to listen, and work out what exactly the child wishes. In primitive societies babies do not cry, this is due to their survival being at stake. You would not find these children squawking or squealing with exuberance like some children do, nor would they sing at the top of their voices in the high-pitched voice( like my own children do & I love it) These joyful noise can be at times a little unnerving that said, but I’m very grateful to have children whom wake up exceedingly happy, refreshed and are able to be freely to express themselves . We are lucky to lives in a society where our freedom of these expressions is not only allowed, but must be valued and encouraged. While I certainly understand that by relating situations to a particular ancestral way while choosing to adopt it can work. It would be unfair to compare ourselves and our babies with these tribal families. While the point of us understanding and taking into account the context in which these ancestral behaviours “worked” makes sense, I cannot help but wish to express the fact that the reality of our two lives, the expectations we have for our children could not be more different. 5. Would it result in less abuse? The question that seems to become very prominate in the issue of crying is if we as a parent and society were all be more comfortable with and when a baby cries do you think that it would help some of those parents out there be less likely to abuse? I have to say my guess would be yes. Nothing is more sensitive than an infant. They are most sensitive towards their parents. For them every single interaction they encounter has an educational experience attached to it. A crying baby just want the same as all of us adults do when we cry — simply to be heard, be understood, and then helped if and where it is possible. There are times when all they will need is our calming support to allow them to fully express their feelings. 7. It is through a gentleness, listening calmly, observation, honesty and acceptance that bonding can occur. It is with these ethos and beliefs that I create my gentle family-centred personalised sleep programs for babies and children. I work alongside parents who are in need of some reassurance that they are doing the right thing for their child in the best way. While they teach them in a loving, supporting and nurturing manner, they develop new skills which they will take on with them, serving them well for the rest of their life. We can not take the skills away from our children then expect them to do or be their best. Skills take practice, patience and understanding before we truly can say we have mastered them. Sleep has the same ethos. Same days are better than others, some days you will have instant and fantastic results. Others you little one is going to need to have you support, guide and help them more. The one thing which is key to all of this is to believe in them and their abilities you can do it. Once you know this you can watch them move mountains. 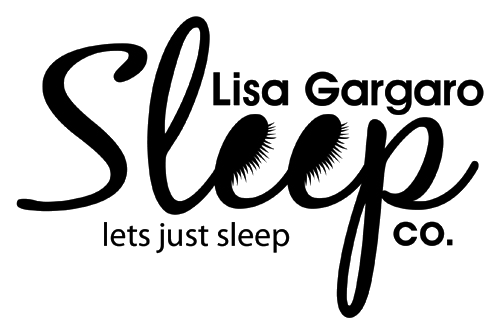 If you wish to speak to me about your own child’s sleep, and wish a method which will be gentle and achievable then please book a 15 min introductory call where I will be happy to answer any questions you may have and discuss how I can help your family sleep.